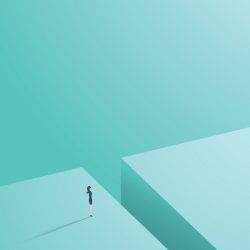 More than four in five (85 percent) of women and 80 percent of men report that they have witnessed gender-discriminatory acts at work suggests the results of new research by the Chartered Management Institute. The CMI’s latest report ‘A Blueprint for Balance: time to fix the broken windows’ looks into gender diversity best practices, and found patchy results. Despite some leading exemplars, the majority of organisations are still struggling to make a meaningful difference to achieving a gender balanced workplace. According to the report’s survey of 856 managers, just one in four (25 percent) say that their peers and senior leaders ‘actively and visibly champion gender initiatives’. The lack of action cascades down the ranks, with only 19 percent of junior and middle managers believing their senior leaders are committed to the target of gender balance in their organisations. This is in spite of a recent study by management consultants McKinsey that found globally the most gender diverse businesses are 21 percent more likely to financially over-perform than their peers. Despite the introduction of new pay transparency reporting regulations in April 2017, only 8 percent of managers know the size of their organisation’s gender pay gap. Two in five (41 percent) claim that their organisation does not have a gender pay gap, even though CMI research has found the average difference in pay between male and female managers to be 27 percent. The CMI survey also reveals that less than a third of managers give their employers top marks in measures of the effectiveness of flexible working, pay and reward, and recruitment practices to promote gender diversity. The majority (59 percent) believe that their employer is failing to provide mentoring and sponsorship opportunities, and half (48 percent) say that their organisation’s management culture does not support gender balance. Ann Francke, chief executive of the Chartered Management Institute, says: “Achieving gender diversity is a priority business performance issue – gender-balanced companies financially far outperform their peers.